Aviation in Alberta dates back to the first decade of the 20th century. 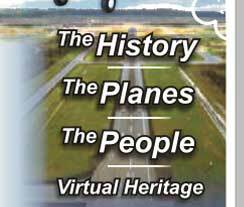 Alberta has had an important role in the history and development of aviation in Canada and the world. Explore the exciting history of the early pioneers and war heroes, such as Wop May, who helped start commercial aviation in Alberta and open up the north as never before. Alberta hosted some of the first official military pilot training programs that produced thousands of Second World War pilots and navigators at airfields across the province. Albertans were also among the most influential commercial and passenger aviators and innovators in Canada, and still play an important role in the ever-changing world of military and commercial aviation. This is demonstrated by the Foundation's partner, the Alberta Aviation Museum, whose collections are featured throughout this website. Discover how Alberta, its geography and its people played a major role in aviation experimentation and the development of the airplane as an important military and commercial tool. Albertans and their ideas helped develop the province and the nation, and are still working to strengthen today’s airline industry. The History—This section will create an understanding of the events and advancements in each of the major periods of Alberta’s aviation history. The People—This section will focus on the contributions that individuals and groups made to aviation innovation and development in Alberta. The Planes—This section showcases the planes that were used by individuals and by the military during the various historical periods discussed in the History section.